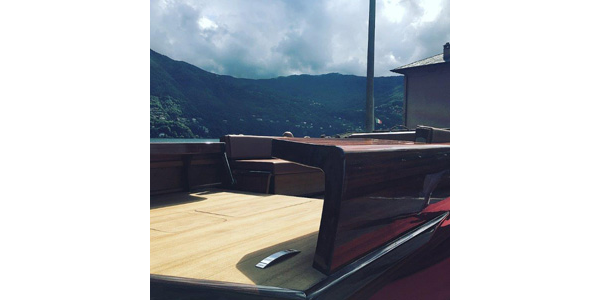 There is something wonderfully magical about Lake Como and the Ernesto Riva boatbuilding dynasty that has been based there for almost 250 years. Both names are entwined in the rich history of wooden boats, exquisite varnish work and a high degree of joie de vivre. The Italian yard, based in Laglio is still in family hands, managed by Daniele, a sixth generation Riva whose vision for the future is as strong as the Company’s illustrious past. 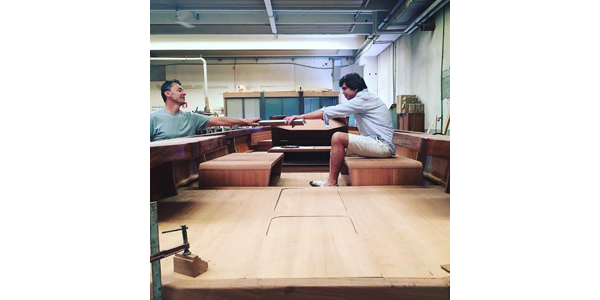 Cantiere Ernesto Riva specialise in classic wooden boats, though in recent years the main focus has been restoring and maintaining them. 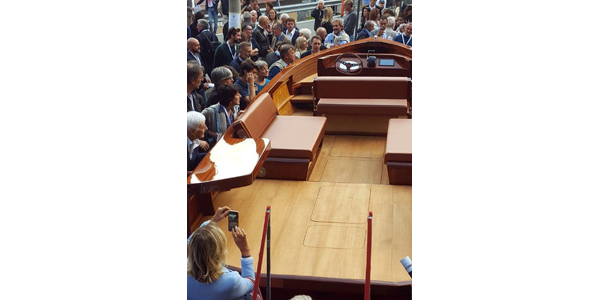 That order was changed at the end of September when the Company launched the German Mani Frers designed 7m e-Commuter boat, an exquisite hybrid-powered wooden launch that now leads the charge to eradicate pollution in Como and neighbouring lakes. Mani Frers says of the design: “My inspiration for what is a modern version on a classic theme came while I was lecturing at Venice International University. Each morning, I would be picked up from the railway station in a different vintage water taxi, all of them wooden, all in mint condition and with low wake hull characteristics. 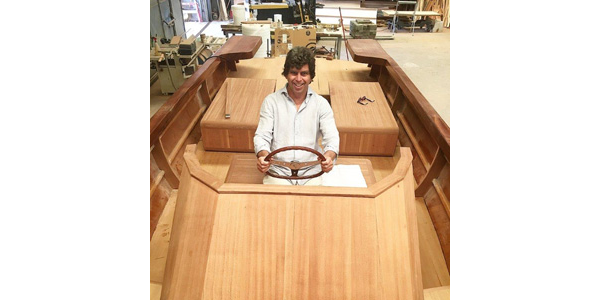 There is a speed limit of 3knots on the Venetian canals, but the concept got me thinking: What about a new Ernesto Riva runabout, using wood as a futuristic material and powering it with a hi-tech hybrid motor? 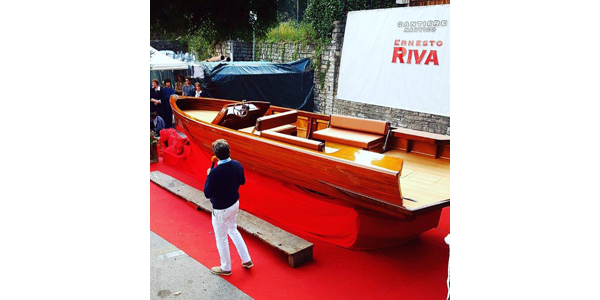 The result is the 7m Ernesto Riva e-Commuter motorboat. Wood can be as light and strong as almost any other material when used in an epoxy composite structure. It is also largely maintenance free, and has one enormous advantage over other composite materials – the beauty of wood shines through! With support from local government, which shares our vision to make boating on Lake Como far greener than it has been, we set about to create a beautiful 25knot speedboat that is recognisably Riva and yet produce zero emissions and no noise. Thanks to Formula 1, the development of hybrid technology has come a long way, but there are still limits. To maximise on this power, the hull form had to be super efficient with minimal drag and weight. 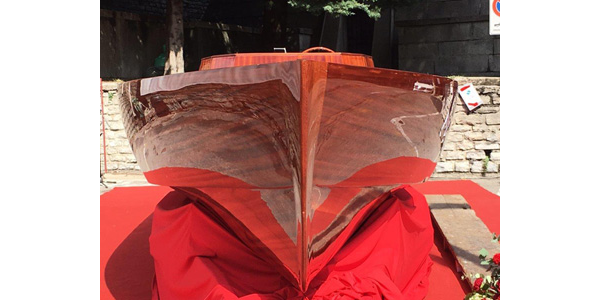 The result is a wonderful Ernesto Riva creation marking a new era in wooden boat construction that will plane at 10knots, has a top speed to 25knots with four people aboard, and the capacity to cruise at 17 knots for two hours, or four hours at 13 knots – without leaving any impression in the water!